At the beginning of the month, I did something rare: I took a vacation without my computer. Yes, one full week without 24/7 e-mail contact, something that hasnt happened in over five years. Honestly, though, I admit to the fact that I had to go through a withdrawal period. Occasionally, Id crack, just a little bit, and Id make a quick sprint to the shared computer in the hotel lobby just to check my e-mail and make sure "everything is OK" back at the office. It was, mostly, but work was piling up, as I feared, and I knew that the moment I got home Id have to take another trip, but not for pleasure. It was the end of the year, and this is often a busy time in the audio/video industry because of CES. So my holiday wasnt my only trip in December. One week Im in Florida, and the next week Im in Toronto -- again! -- a trip that was all about speakers, something I was already immersed in before I went on holiday. Right before I left for vacation, two sets of Revel speakers arrived: the Concerta M12 and F12, which are priced at $648 and $1298 USD per pair respectively. The M12 is a minimonitor, while the F12 is a floorstander. Both are entry-level products designed to bring the kind of performance that consumers have come to expect from Revels upper-end models to common-man price points. Interestingly, despite their low prices, these speakers have some technology thats new to Revel -- a waveguide around the tweeter. This waveguide is used to control the dispersion characteristics of the tweeter in order to blend the treble better with the top end of the woofer in the M12 and the midrange driver in the F12. At first glance and first listen, the M12 offers high value (I didnt get a chance to hear the F12 because it was only here for measurements). The M12 is only a little over half a kilobuck, and it sounds a lot like my reference speakers, Paradigms Signature S2 and PSBs Platinum M2, which are both two kilobucks per pair. The M12 and F12 are Revels for the masses, and full reviews will be coming early this year on these interesting, cost-effective products. One of the reasons for my trip to Toronto was to bring the F12s to a fellow reviewer there. But there were two more speaker-related reasons to make the trip and not simply ship the Revels: Audio Products International, makers of the Athena Technologies, Energy and Mirage brands; and, quite surprisingly, Blue Circle Audio, makers of tube-based preamps and hybrid power amplifiers, and not a company normally associated with speaker building. Its well known that Ive owned Blue Circle electronics for quite a while -- almost a decade. I find them to be extremely good-sounding pieces of equipment, simple as that. Over the years, though, Ive gotten to know the owner and head designer, Gilbert Yeung, and we almost always talk about audio and whats new in the audio world as a whole. And when theres something new with Blue Circle, obviously we talk about that, too. Imagine my surprise, then, when Gilbert told me that his company is developing a speaker -- about the last thing I ever thought would come out of Blue Circle. Normally, electronics companies stick with electronics and speaker companies stick with speakers, but times are changing, and there are some companies successfully wearing both hats. Gilbert wants Blue Circle to be one of them, and hes quite adamant that they can do quite well at it. I was skeptical until I saw a picture of the new speaker, which, based on concept alone, looks like it could be promising. Unlike companies that put out products that, frankly, dont distinguish themselves well from the competition, Blue Circle has created a distinctive new speaker. 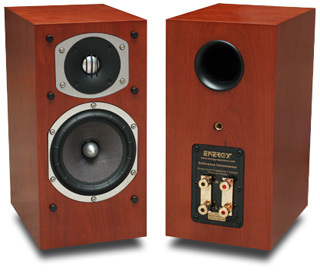 It is a three-way design with five drivers aligned vertically in a W-M-T-M-W configuration (W=woofer, M=midrange, T=tweeter), but with an arc to the lineup. Its hard to describe, really, and looks unique, but it is not so outlandish as to be impractical. In fact, its downright intriguing. More important, though, Blue Circles yet-unnamed speaker isn't a "me too" product, which is important when youre trying to distinguish yourself in the audio world. But this raises a question: can Blue Circle jump into the speaker world and expect the same kind of success theyve had with electronics? Unfortunately, I didnt have time to go to the facilities where Blue Circle had the prototype stashed and listen to it, let alone get a picture of it, which would have helped me describe it. However, Gilbert has said the speaker will rear its head at shows starting this year -- perhaps as early as CES -- and well be tracking its development. Audio Products International is always an interesting place to visit because it has three key audiophile speaker brands. The staff at API always seems to have something on the go, so I like to scout out new stuff here. The newest of the new are likely the OM Design speakers, which Mirage debuted in prototype form at CEDIA and for which the company is wrapping up development now. OM Design denotes Mirages statement-level speaker creations based on the Omniguide technology first seen in the revolutionary Omnisat, a speaker we first reviewed almost four years ago. During my visit, Mirages main designer, Andrew Welker, was so steeped in working on this project that I didnt dare query him too much. He just had this dont bug me look on his face. He assured me, though, that the OM Design line would be completed very soon. My own suspicions are that we might get a first listen to this rather radical speaker sometime after CES. So, with Andrew busy, I made a beeline over to John Tchilingurian, Energys lead designer. I was interested in talking with John because just before the Revel speakers arrived, so did a pair of Energy RC-10 minimonitors. 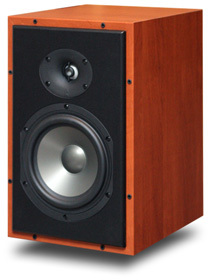 These are part of the new Reference Connoisseur series and retail for $550 per pair. To say that this speaker shows promise is like saying Bill Gates is kind of rich. It doesnt begin to tell the story; the RC series appears to set standards for build quality and value that few speakers right now can match. The RC-10 features a 1" aluminum-dome tweeter, a 5 1/2" Kevlar-cone woofer with Energys patented Ribbed Elliptical Surround technology, a real-wood-veneered cabinet, and some knockout binding posts that wouldnt be out of place on speakers priced many times what the RC-10s cost. My pair came in rosenut and look fantastic, rivaling the aesthetics of much more expensive speakers. In fact, if a small boutique-type company made the RC-10s, I suspect theyd cost twice as much or more. My initial listening impressions of the RC-10s were also very positive. This speaker has extraordinary bass for such a small cabinet and woofer, and its highs are so silky smooth that theyre giving my reference minimonitors a run for the money. A full review of the RC-10 will be coming early this year, and we also hope to get some of the larger Reference Connoisseur models in for measurement and review. As you can see with all thats arrived, all thats coming, and all that were going to write about, itll be a busy year in 2006. However, busy or not, I think its also going to be a groundbreaking year for audiophiles in terms of value-for-the-dollar speakers. Companies like Revel and Energy are going non-stop to deliver quality products at low prices, and the amount of technology that theyre jamming into products today for the prices being asked was unthinkable just a few years ago.